Description. 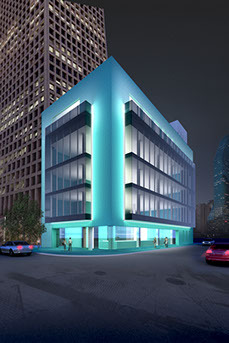 This soon-to-be jewel in downtown Dallas includes renovations and additions to an existing 4-story + basement building. The new program for the building consists of meat processing and a bakery at the basement level, a ground-floor restaurant, and office space above the ground floor. We were able to determine that with moderate reinforcement, the existing structure could support a vertical addition of an office level at the existing roof level, gaining valuable leasable area for the Owner. Additional design challenges include structural support of new roof-top mechanical equipment and new façade materials.